Established by brothers Tim and Seán Dunleavy in 2009, Dunleavy Bespoke design and make handcrafted, luxury furniture. The exclusive Dunleavy aesthetic is one of contemporary artistic luxury, creating elegant and comfortable spaces as individual as our clients. We are specialists in dining room tables and free-standing furniture - with a choice or shipping or courier service, we'll deliver your furniture straight to you! As master craftspeople, our values as designers and makers centre on quality and integrity in everything we do and in everything we make. Our clients include interior designers, architects and many private individuals, both in Ireland and abroad. Sending bespoke pieces as far as San Francisco and Hong Kong, our furniture can be seen in churches, restaurants, offices, embassies and ambassador’s residencies, museums and galleries in addition to private homes. Get in touch today! Hand made furniture designed , built and installed. Enigma Design is run by Steven Jones and Brendan O’Neill, who formed the company in 1999. Both Steven and Brendan have many years experience in the design and manufacture of custom made kitchens and bespoke cabinetry, both in Ireland and abroad. From modest beginnings, we have grown into our purpose built 5,500 sq.ft workshop and showroom in Newtownmountkennedy, Co. Wicklow (just South of Dublin), employing five permanent staff from the local area. We pride ourselves in being able to offer clients an unlimited range of designs and specs for kitchens, bedrooms and various other built-in units, and have a reputation for being able to produce unique, one-off cabinetry. Enigma Design has continued to grow through the kind recommendations of many very happy and satisfied clients, along with continued repeat business from interiors designers and architects. We have shown that our designs and quality will leave every customer happy and willing to recommend us. Enigma Design is a name that you can rely on to deliver you the very best in custom made hand painted kitchens, wardrobes and bespoke cabinetry, built just for you and finished to suit your needs. Glendalough Woodcraft is a bespoke cabinetmaking business. We custom design and make hardwood kitchens and furniture out of the best quality kiln dried Irish or imported hardwoods. We cater for all interior cabinetmaking and create pieces to the highest standard, we use the best traditional and modern cabinetmaking techniques, finishes and fittings to ensure our clients purchase the finest furniture possible. We design and make pieces ranging from large kitchens to bedroom, bathroom or any other interior cabinetry. 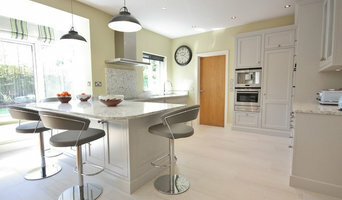 At Leinster Kitchen Studios Ltd. we are dedicated to providing innovative design solutions to all our customers. Our goal is to provide the highest caliber of creative services and deliver a consistent, quality product which will enhance the individuality of our customers' requirements. With our Interior Design teams vast knowledge, design skills and commitment, we endeavor to provide the best possible quality, effective design solutions to suit our clients requirements and finances. We maintain a close liaison with you throughout the planning, design and fitting of your kitchen to ensure your requirements are fully met. Wood Mode is a well known successful professional custom carpentry business providing Wall Panelling & Smart storage solutions all across Dublin and surrounding areas. At Wood Mode, we work with both commercial and domestic clients, providing a variety of services, such as under stair storage, alcove units, attic conversions, custom furniture and shop fit outs. Timber is our passion, and carpentry is where we gained our experience. With over 30 years experience in the trade, you can rest assured that we know what we are doing. Whether you need more storage or simply want to make better use of your space, our professional team are here to help. Optimise the space in your home or business with a variety of smart storage solutions. Our team can work with the space you have. Everything is custom made, meaning we can work with unusual shapes or sizes. At Wood Mode, we can work from photos, drawings, you name it. We can use any timber you like and we even offer a spray painting service, so you can get the colour and smooth finish you want. Our team can ensure that your new storage ties in with the current décor, so whether you need something modern or traditional, we are here to help. 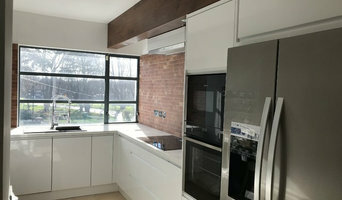 We Manufacture,Design and fit bespoke kitchens,wardrobes and bespoke units.Designwood ltd was founded in 1993 as a family business,and for the last 24 years designwood has manufactured kitchens ,bedroom furniture and bespoke furniture to high standards in all types of finish from traditional to contemporary. When you’re buying a new kitchen, you need to know that it’s going to work for you and that it will meet the needs of you and your family, from initial consultation you and our designer can discuss your ideas, with both our expertise and our 3d computerised system you will be able to see exactly how your new kitchen will look and plan it for your individual needs. We will guide you through the various features of a good kitchen such as innovative storage systems, maximised corner solutions, pantry units, worktops, appliances etc. A-Klass Carpentry provides high quality service, design and materials for all your carpentry and joinery needs.. With 20 years of experience in carpentry and joinery we deliver a high standard service to our customers. We also pay attention that all our production is ecologically clean and environmentally friendly. Our priority is immaculate work and 100% satisfied client! Talisman Woodworks is a small traditional joinery company that specialises in bespoke handmade kitchens, cupboards and furniture. We created Wedge in 2005 because we wanted to make products we love. At Wedge we offer a combination of simple, clever design and hardwearing beautiful materials especially wood. Products which we can stand over. We don’t think people necessarily need more ‘stuff’. We focus on creating stand alone pieces- products you’ll have for a lifetime. We love seeing how a single clever piece can transform a space. We build everything by hand in our Dublin workshop and are happy to work with you on a custom order or design. 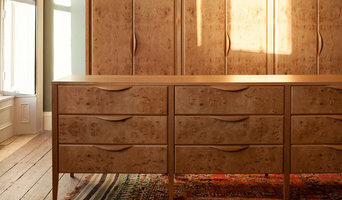 Why should I hire a Dublin cabinet maker? Cabinet makers are skilled craftsmen who can design, make, rework and repair cabinets and cupboards. They can create bespoke storage or kitchen units for your home that meet your needs and fit with your interiors. They can also advise you on materials and cabinetry styles if you’re not completely sure on the design yet. 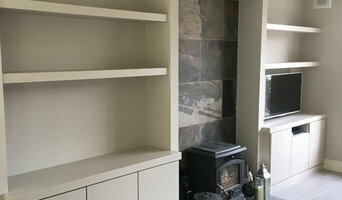 With the right bespoke cabinet makers in Dublin, no cabinetry job is too difficult, so even if you have a tricky corner space that you want to utilise, a Dublin cabinet maker can create a cupboard to your specifications. Bespoke cabinet makers are more than just bathroom or kitchen cabinet manufacturers and they can be commissioned to create storage cabinetry around the home. Bespoke TV cabinets are in popular demand due to the variations of TVs, consoles, digital TV boxes, DVD players and other items that we want to keep near to our televisions. Skilled cabinet makers in Dublin can create a one-of-a-kind TV cabinet or media centre to house all your entertainment goodies. If you already have cabinets or cupboards that you’d like to keep, but they’re just in dire need of a facelift, then bespoke cabinet makers may be able to help, too. You may wish to replace kitchen cabinet doors, give your cupboards a new colour, add decorative elements or use a special finish; whatever the cabinetry task, ask cabinet makers in Dublin if they can help you. If you need the help of a cabinetry professional when renovating a home, make sure they are happy to work with any other professionals working on the project. Here are some related professionals and vendors to complement the work of cabinet makers: Kitchen & Bathroom Designers, Kitchen & Bathroom Fitters, Interior Designers, Home Storage Designers & Professional Organisers, Carpenters & Joiners. How long have you been cabinet makers in Dublin? Find a cabinet maker on Houzz. 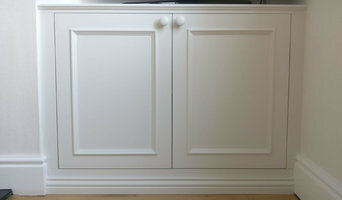 Narrow your search in the Professionals section of the website to Dublin bespoke cabinet makers and cabinetry. You may also look through Dublin photos to find examples of cabinets that you like, then contact the cabinet makers in Dublin who worked on them.